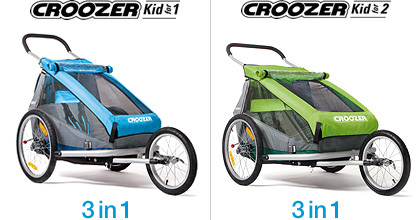 Croozer Kid - The all-rounder. 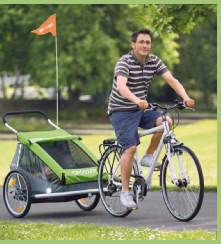 The Croozer range was developed with an eye on the family budget, and without scrimping on safety. 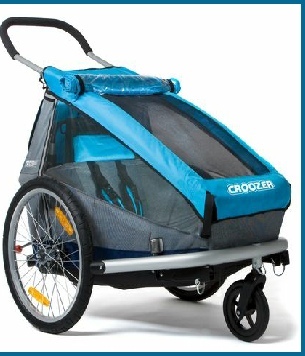 Croozers have everything a top-quality product should – minus the gimmicks. So they’re easy on your bank account. 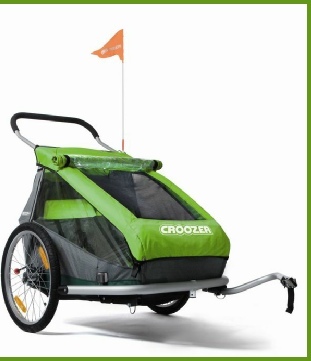 Your children will just love their Croozer. 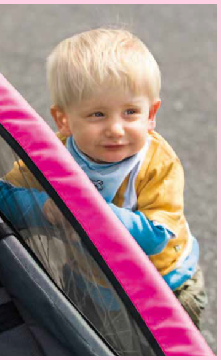 Even babies feel right at home, protected against wind and weather while enjoying the great view. 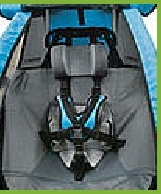 And there is always plenty of room behind the seat to stash food, toys and more. It is up to you. 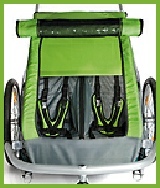 But even if you are not planning on additional offspring, a two-seater can still make sense. We guarantee that willing second passengers will not be difficult to find. Double the fun! 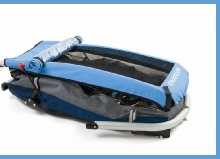 1 The extremely stable safety cabin ensures the best possible protection for its occupants. 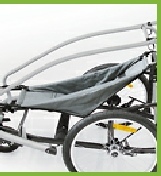 2 Internal frame protects against side and rear impact. 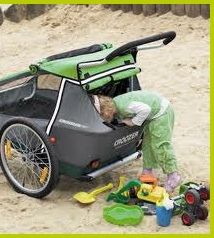 3 Additional cross-tubing increases rigidity in the event of side impact – one of the commonest accident scenarios. against accidental rear-end and side-on contact. 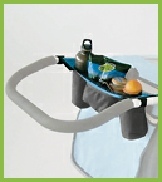 5 The handlebar acts as an additional safety bar and increases the stability of the safety cabin. For Children Aged From Here's the legal bit: Please note that legal requirements can differ between countries. 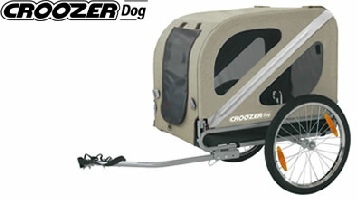 CROOZER DOG – WHEN PUPPY NEEDS A LIFT. Dogs generally love to run, but sometimes it’s just too much. 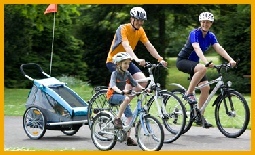 Especially with younger or older pets, or during longer excursions. That’s where the Croozer Dog comes into play. 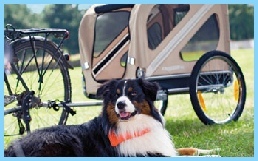 Your pooch will ride in comfort.